The new design of double-wall tea bottles with compartment for tea leaves, built-in glass strainer and water-tight lids. 12 oz. 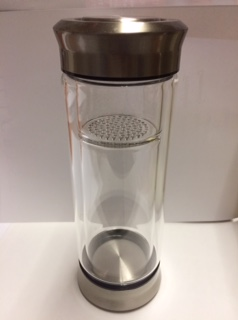 bottle for tea drinkers on the go.